Everyone, no matter how well off, should know about the value of a dollar. If you want to start teaching kids about money, read further to learn how. Six in 10 parents begin rewarding their children with an allowance before their little ones hit the age of nine. However, only one in 100 parents claim their children actually put aside some of that cash. If you don’t take up the task of teaching kids about money, it’s unlikely they’ll learn it from anywhere else. In fact, over 80% of American teenagers admit they have poor knowledge of personal finance. Looking to start your children on the path to financial prosperity? Read on to learn how to succeed at what most schools and parents fail at doing: teaching kids to save! Handing children money teaches them that they should expect to get paid for doing nothing at all, or doing the bare minimum. Avoid letting them develop these unrealistic expectations by adopting a commission system. Put together a list of daily chores for your kid, and set a weekly, biweekly, or monthly pay rate. Let them know that they must complete all their duties to earn the full amount. For example, if you offer your child $10 a week for five days of chores and your kiddo finishes 3/10 chores one day, reduce their pay for that week by $1.40. Use a basic checklist to keep track of their progress. Alternatively, you can download an app to make things more fun. Piggy banks are far from ideal because they don’t allow kids to see how much money is inside of them. Plus, many children want to spend their cash as soon as possible. To combat these issues, give your little one three glass jars. This way, they can watch their earnings pile up. Explain to your child that each jar has a different purpose. One of the jars is for money that they can spend on whatever they want (within reason). The second is for saving money, and the last one is for giving to good causes. Set a savings goal for your child and promise to add 25% to their savings once they hit their target. Allow them to choose the charity and match their donation. Not only does this teach your kid about the importance of saving money, but it also allows them to experience how fulfilling it is to help others. About one in three millennials find themselves stuck with over $30k in student loan debt, and credit card debt in the US is at an all-time high. You can prevent your kids from suffering the same fate by telling them the facts. Sit down with your children and talk to them about what may happen if they use their credit card inappropriately. Explain why spending a few years at a community college while working part-time is a safe bet. 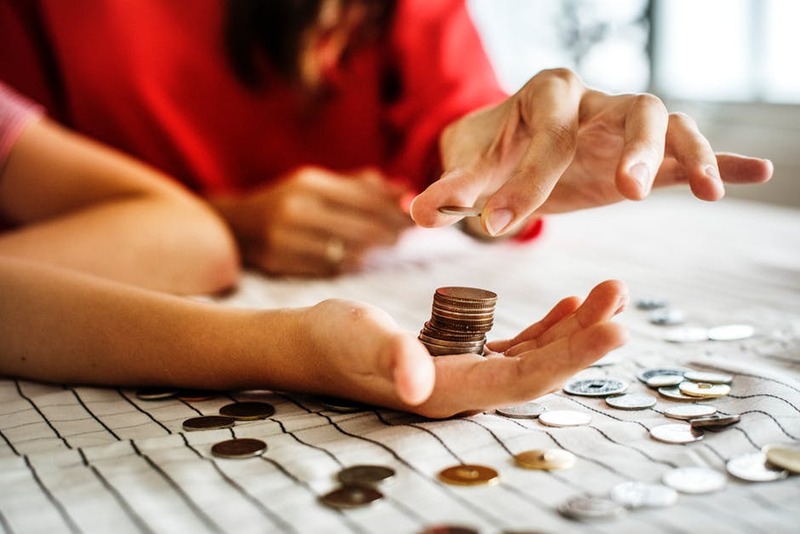 And if you need to brush up your knowledge of complex debt-related topics like bankruptcy, click for more info before giving your kids a rundown. Keep in mind that leading by example is one of the most important things a mother can do. So when you go shopping with your children, don’t make impulse buys with credit cards. Don’t be afraid to let your children make spending mistakes too. And when saying “no” to your kids, provide an explanation for why making a certain purchase isn’t a wise decision. Now that you know a few strategies for teaching kids about money, want more valuable parenting tips? If so, head over to our motherhood blog!